Getting into any type of car accident can be a frightening and confusing experience. One moment you’re going about your day, dropping off the kids at school or heading in to work, then suddenly you’re caught off guard when someone crashes into you. No matter the size of the car accident, one of the first things that you need to do is to dial 9-1-1 to get the police to the scene. At the scene of the accident, a police officer’s duty is to make sure everyone is safe and to manage the logistics like automobile removal, direct traffic, and to document the accident. After the accident, however, they may also have a role in helping to determine fault in your personal injury claim. After a car accident is reported to the police, officers are responsible for preparing a police report about what happened. A police officer will interview the drivers and any witnesses about the car accident, asking a series of questions designed to piece together an accurate account of what occurred. The police report may contain a statement about who was at fault in the accident based on the police officer’s professional judgment, but many police reports do not include a determination of fault. It is important to understand that even if a police report states who was responsible for a car accident, this does not automatically mean that the person will be held legally responsible (or “liable”) for damages in a subsequent claim. As part of a police officer’s investigation into a car accident, he or she may issue one or more traffic citations. A traffic citation is a notice issued by a law enforcement officer that accuses a driver of violating a traffic law such as exceeding the speed limit or making an unlawful turn. It may indicate that a penalty such as a fine or deduction of points has been or will be assessed against the driver. A traffic citation may also require a driver to appear in traffic court. While a traffic citation will not ultimately prove who is legally responsible for a car accident in a subsequent claim, it may be used as evidence that the driver was negligent. 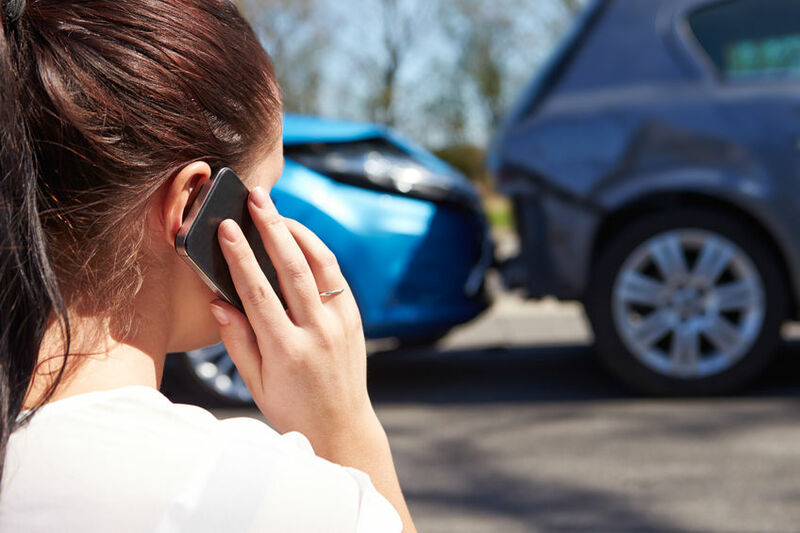 If you or a family member have been left with injuries after a car accident caused by the negligence of a distracted driver, please contact us to speak with an experienced attorney. Dussault & Zatir P.C. has lawyers on call at +1-800-542-4LAW to answer your personal injury questions. With offices in New Bedford, Fall River and Taunton, Massachusetts, as well as an office in Providence, Rhode Island, if you’ve been injured, our lawyers are here to fight for you.